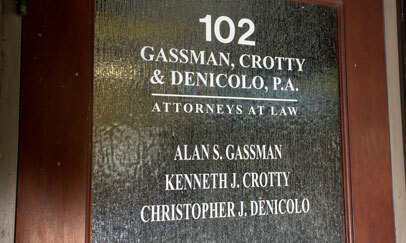 Home - Gassman, Crotty & Denicolo, P.A. 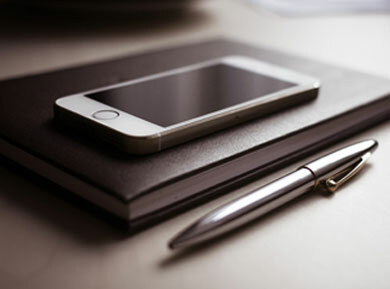 We hope that you find information here that can be helpful to you in determining how to best proceed with your legal representation.If any further information is needed, please let us know. At Gassman, Crotty & Denicolo, P.A., each of our attorneys devotes his or her talents to providing clients with high-caliber service. We bring to the practice a respected and focused set of credentials that sets us apart. 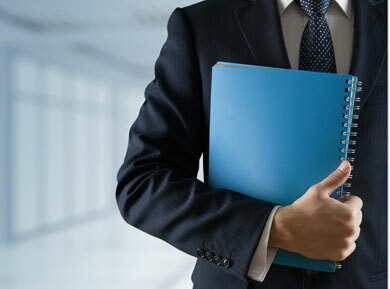 We possess advanced degrees in taxation, estate planning and business. We lecture and write as skilled professionals in our field. 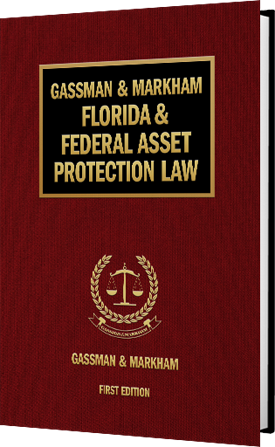 Florida has a unique body of creditor protection planning laws that come from a number of different sources, and a number of different practice areas. 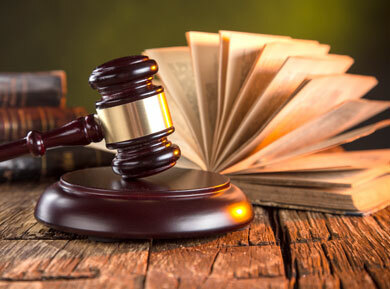 The laws can be found in the Florida Constitution and Florida Statutes, and many stem from common law principles. This book seeks to explain these principles in a clear and simple manner, so that advisors can tailor asset protection plans to each client’s needs.